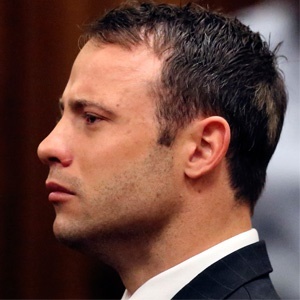 Johannesburg - A South African appeals court increased paralympic champion Oscar Pistorius' sentence for murdering his girlfriend Reeva Steenkamp to 13 years and five months on Friday. Prosecutors argued earlier this month that Oscar Pistorius failed to show genuine remorse after killing his girlfriend. "One of the essential ingredients of a balanced sentence is that it must reflect the seriousness of the offence," Andrea Johnson, of the National Prosecution Authority, had told the court. In 2015, Pistorius was found guilty of murder and given less than half of the minimum 15 years in jail for that crime. But National Prosecuting Authority spokesperson Luvuyo Mfaku said he was pleased with the Supreme Court's ruling. "We have all suffered incomprehensible loss. The death of Reeva was and still is a great loss for our family too," he wrote. Previously an ambassador for disabled people worldwide, Pistorius was released from jail in 2015 after serving one year of the initial five-year term for culpable homicide. He returned behind bars after his conviction for murder.